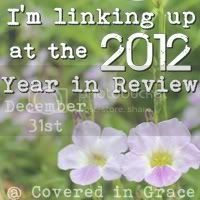 The Prompt: This year in blog posts…choose a favorite post from each month of 2012 and share. That is the challenge! So now I must decide. . . some months I was lazy and it will be easy. Others I went crazy and . . . omgosh, how to choose? It's like the end of the day cup of tea choice. So hard. So January's post is the delightful Bath Salt Jar Craft tutorial, my first post to really take off on pinterest (it was pinned a dozen or so times which felt, at the time, epic). omgosh, so many containers. . .
As I mentioned I didn't actually blog in February, but because of the patented new baby excuse, I'm cheating and using my March post when I actually told Claire's lengthy and insane birth story, because everyone loves a good birth story, right? 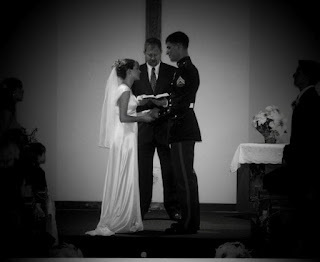 Because of that I can fit in this Hastily Written Love Poem as my March post. I used to write a lot of sappy love poetry, but then I actually captured the object of my affection, and he was much more fun to play with than write about (Rawr, tiger noise). He is so hot. . .
April involved a cross country move that was the end of a cross world move, but it was also the month I started to get the idea that I could actually get non-relatives to read my blog and I began to get excited about it. Here I catch up with everything after the move and discuss our First House. In May I posted my first crochet tutorials, but the post that truly has my heart is My Geeky Marriage, because it is so much of what I love about my relationship with Matt. 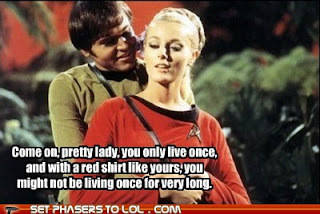 I share this story any time the TV show Grimm comes up and I had an excuse to use an Set Phasers to Lol picture! Carlton was new to the family in June. The post that beat out a lot of my favorite crochet patterns (including the mermaid pattern that has been very popular and was shared on the Happy Housewife) is Action Hero Training Camp! This post (and included video) is me boasting about my creative daughter and my own brilliant idea to take advantage of one her favorite tv moments and turn it into an active indoor game. Caen wants to join in. In August we had fun with these Tinted Glass Bottles from a pinterest pin. These are still sitting in my kitchen window and I love how they look when the light hits them. In September I started doing my Tolkien fan readings, posted a few more crochet patterns, and revealed my recently discovered love for Doctor Who. Still my best memories are of Decorating the Baby. In November I dove head first into the craziness that is NaNoWriMo (National Novel Writing Month) and actually managed to write a novel! Probably not a publishable novel, but I had a lot of fun writing it, and because of that the post where I share and excerpt of Dragon Curse is my favorite post of that month. 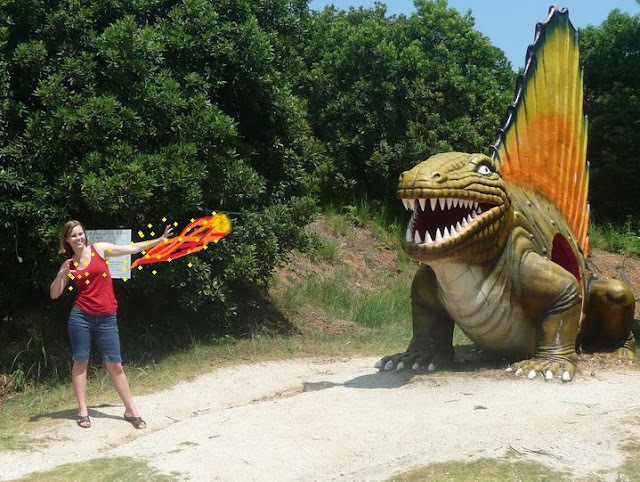 Look at me kill a dragon with FIRE! So here we are, no the last day of December, the last month of 2012, and it has been my most "posty" month of the year (passing the previous leader, June, by 2 posts, counting this one). My favorite of all these posts? Definitely Things that Make Me Happy: Christmas Edition. I just love Christmas! So many things make me happy and I love to share with whomever will listen, be it about Doctor Who or the Lord of the Rings or my faith or my family or crocheting or writing or cats cats cat!!! . . . or tea! Can't forget tea! I can't wait to share another year with everyone out there who stumbles onto the typing of this frantically typative Mama Cat!